This second edition of The Economics of Entrepreneurship is an essential resource for scholars following the current state of this fast-moving field, covering a broad range of topics in unparalleled depth. 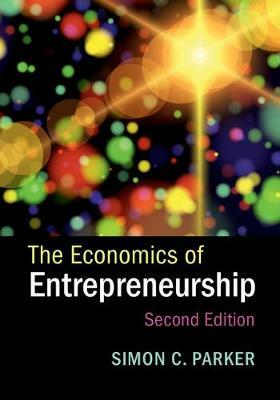 Designed to be used both as a textbook for specialist degree courses on the economics of entrepreneurship, and as a reference text for academic research in the field, the book draws on theoretical insights and recent empirical findings to show how economics can contribute to our understanding of entrepreneurship. New topics, such as crowdfunding, entrepreneurship education and microenterprise field experiments, appear for the first time, while existing treatments of topics like regional entrepreneurship, innovation and public policy are considerably deepened. Parker also discusses new empirical methods, including quasi-experimental methods and field experiments. Every section - indeed every page - of the new edition has been updated, resulting in a rigorous scientific account of entrepreneurship today.